The Official Burj Khalifa Opus was commissioned by Dubai based, Emarr properties, one of the leading international property developers and real estate service companies in the world. Their vision was to find a fitting way to celebrate the creation of the worlds tallest tower in Dubai, that itself called upon the expertise, materials and labour skills from all corners of the world. 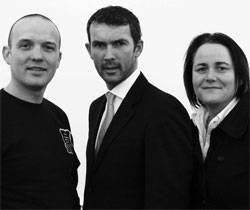 It was soon decided that the integrity and unique story telling experience of an Opus was the most fitting way to do this and soon the Opus team was on site to discuss content and start the ball rolling on a thrilling project which was the first in the architecture genre. Creating the content for an Opus is a very organic process and during the creation of the 800 page Opus new stories developed and came to the surface that had to be included. Our partners as always have full editorial control over what is on each and every page and the end result became a personal tribute to each and every person that contributed to the tower. 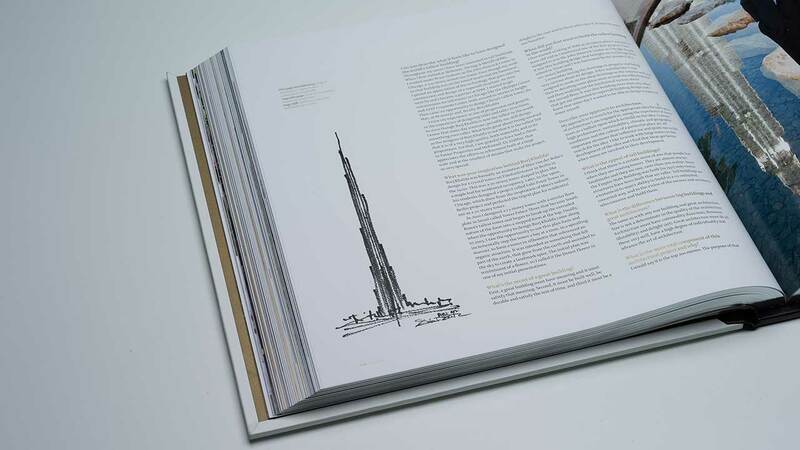 The Burj Khalifa Opus was thought so special that His Highness Sheikh Mohammed bin Rashid Al Maktoum, Prime Minster and Vice-President of the United Arab Emirates and Ruler of Dubai contributed the Forword to this stunning body of work. 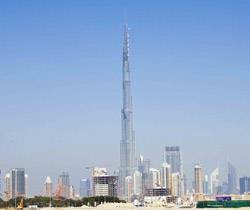 Burj Khalifa is now over 780 metres and climbing.